This is a project designed in soft furnishing class. 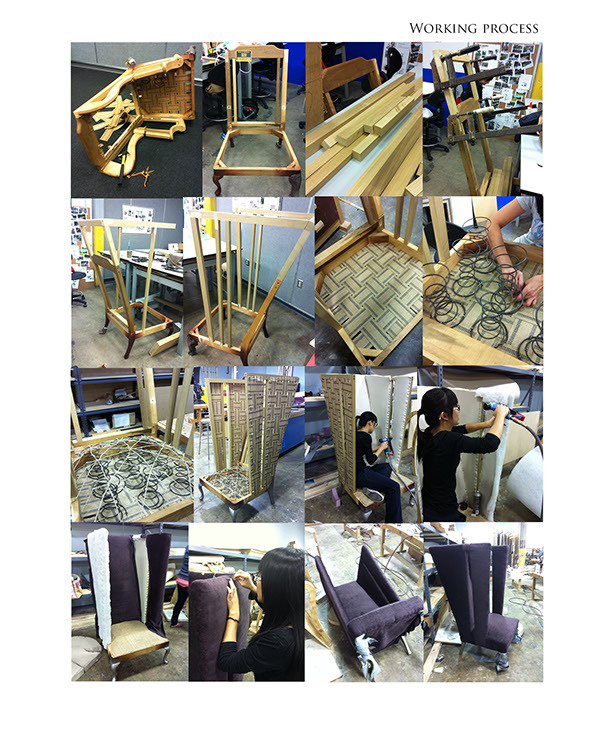 The purpose of this class is to learn how to actually built an upholstory furniture. 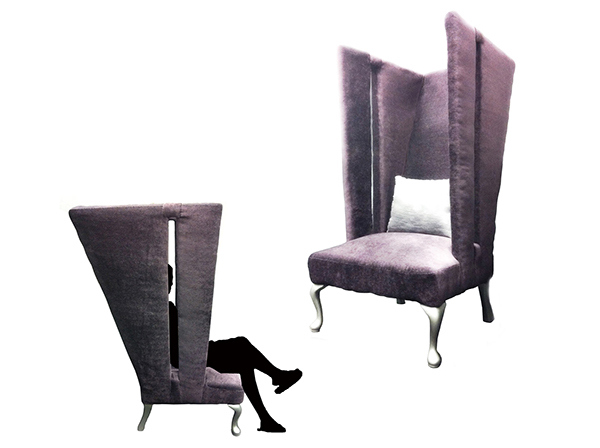 Queen is a wing chair designed in which I exaggerated the wings and made it high and big fo privacy. 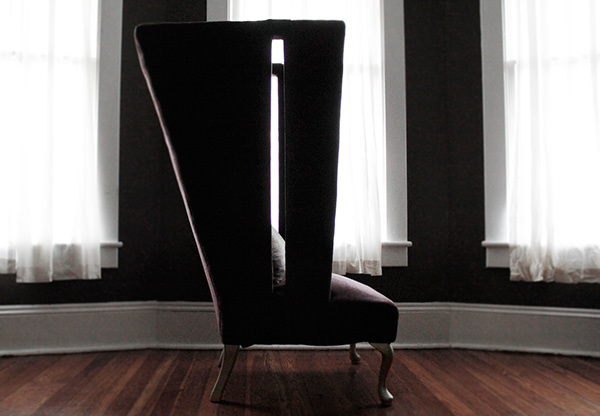 However, the two slots on each side give the person in the chair a feeling of security. It gives you a sense of knowing what’s happening around you but people cannot really see what you’re doing inside the chair. 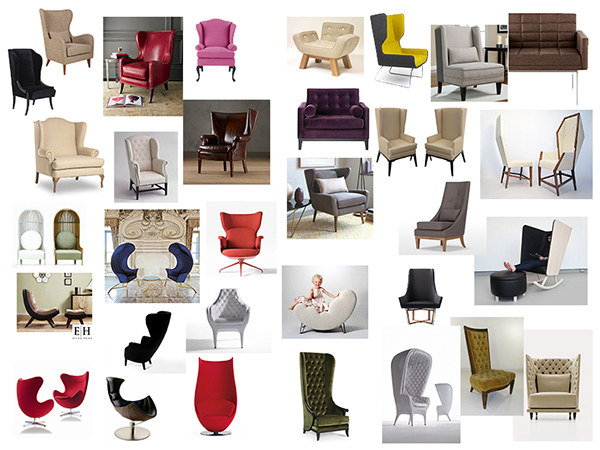 Inspirations are from wing chairs, club chairs, and high back chairs. They are chairs either with geometric shapes or organic shapes, as I chose geometric to be my main referance to start exploring my design. 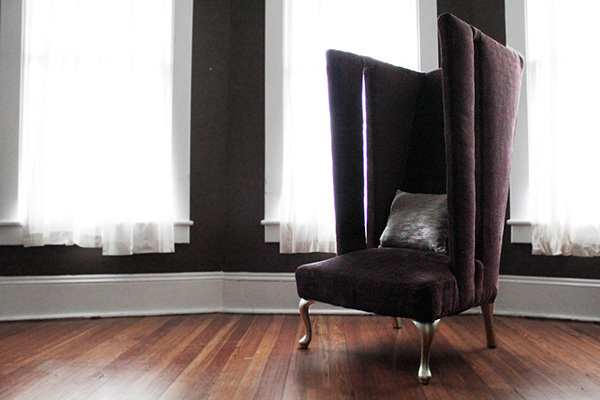 A wing chair that has exaggerated wings. 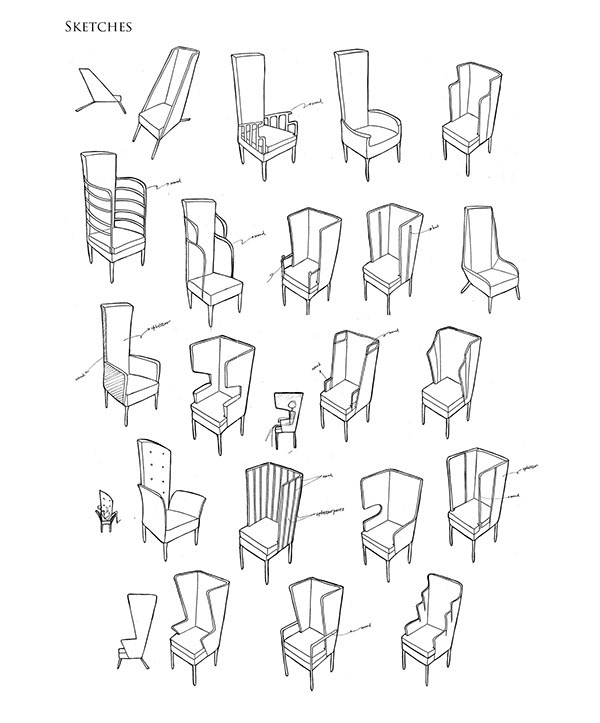 However, with slots on the sides that give the person on the chair some ideas about what's happening around him/her.